According to Pat Buchanan, the Obama administrations decision to revise its mandate that religious institutions must offer access to conception, despite the mandate violating Church doctrine, still falls short. On this weekends broadcast of The McLaughlin Group, Buchanan criticized the Obama administration Health and Human Services Secretary Kathleen Sebelius, describing her as a nominal Catholic and questioning the administrations political judgment. They say they believe in the separation of church and state, but evidently they heavily oppose the separation of state and church. Obummer Has Awakened The Sleeping Giant Full of Righteous Indignation. Ted Kennedy led in the gruesome fight to have tens of millions of unborn babies slaughtered in his evil lifetime. Yet, he was never denied communion and was buried with the highest honors of the Catholic church. Then, you have nancy Pelosi, John Kerry, Martin O’Malley — the list goes on ad infinitum, ad nausea. And you still think the Catholic church will take up spiritual arms against a legal ruling? I think not. Don't Be Deceived! Evil Obama Policy Now Even MORE Evil! I am going to stick with fellow Catholics in Pres. Obamas war on Catholics. Wherein Fr. Z rants. The Bishops Chickens Coming Home to Roost. History is repeating itself. The Catholic church failed to speak up enough during the persecution of Jews and Catholics by Hitler. 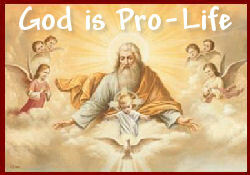 I pray the Catholics keep their voice loud in opposing Obama’s dictates. We are all Catholics now! The Catholic church failed to speak up enough during the persecution of Jews and Catholics by Hitler. The accusation that the Church (and the Pope) 'failed to speak up enough' (and what is 'enough'?) originated in a play written and produced in 1968. The author, a Communist agent, was funded by the KGB and STASI, the East German secret police, but this didn't come to light until after the fall of the Eastern Bloc, revealed by an official who participated. With that said, the problem with the Catholic Church is that there are a lot of "cultural Catholics" who call themselves Catholic (to get votes, or just because Grandpa or Daddy was Catholic). Now that the bishops are awake, they should be taking action. I think many of them were very naive politically and thought that they were dealing with honorable men - seminary doesn't really prepare you for street fighting with Marxist liars. Cardinal-elect Dolan sounded so shocked and surprised that Obama gave him personal assurances and was lying to him all the time . . . . he may be naive but he is not stupid and won't get fooled again. I woildn’t call Sebellious a nominal Catholic. I would call her an Apostate. If I saw her at my Church I would get way away from her so that if God decided to strike her down I wouldn’t get hit by accident. I pray you are correct about Cardinal-elect Dolan. An urban legend gleefully perpetuated by the ignorant. Name calling does not negate history. ps We know now that Pius himself was directly engaged in ratline activity. KGB/STASI disinformation does not equal history, either. If you had bothered to read the article I linked, you would see that a Jewish researcher (whose investigations changed his mind about Pius XII) was contacted by a woman whose uncle Pius XII personally rescued. ". . . she was with her mother, her uncle, and a few other relatives in an audience with Pius XII in 1947. Next to Pope Pius during the meeting was his Assistant Secretary of State, Monsignor Giovanni Montini, the future Pope Paul VI. "Her uncle immediately looks at the Pope and he says, 'You were dressed as a Franciscan,' and looked at Montini who was standing next to him, 'and you as a regular priest. You took me out of the ghetto into the Vatican.' Montini immediately said, 'Silence, do not ever repeat that story.'" Now . . . tell me again why you think that this man 'didn't do enough' to save Jews? I've heard that from certain quarters, most recently the failed joint Catholic/Jewish committee on Pius XII. But really, what Zolli's motivations were and what was in his heart is rather difficult to discern, especially at this distance. And it's kind of a chicken-and-egg problem, anyhow. Back when I was an Episcopalian, one of our priests was a convert from Judaism. His parents never spoke to him again, and actually set up a gravestone and made the yahrzeit. Expecting 'some Jewish scholars' to say nice things about Zolli is a bit silly. Another line you hear is that Golda Meir and Albert Einstein and the Chief Rabbi of Jerusalem and all the other prominent Jewish leaders who praised Pius XII after the war for his heroic efforts on behalf of the Jews of Rome, Italy and Europe 'were only doing that because they wanted Pius XII to support the creation of the State of Israel'. Never mind that Pius XII supported the creation of a Jewish state well before WWII. . . . all these people were just lying because they wanted a quid pro quo from the Pope? Unfortunately, many liberals (and many liberal Jews) are very heavily invested in the idea of blaming the Catholic Church for the Holocaust. Some of it is just because they've heard it all their lives (at least since the 1960s), some of it is because they are socialists and thus can't blame socialism (even the German nationalist kind), and some of it is because the Church is still around to blame, while the Germans who were alive during the runup to WWII are mostly dead. I've looked into this in some detail, because the controversy over Cornwell's book in 1999 began my conversion to Catholicism. He doubled down on the slander of a holy man (quite possibly a saint) that started with the KGB.